Functions; running equation of time, moonphases, perpetual calendar and 24 hour indication. Recto-verso of the case back. 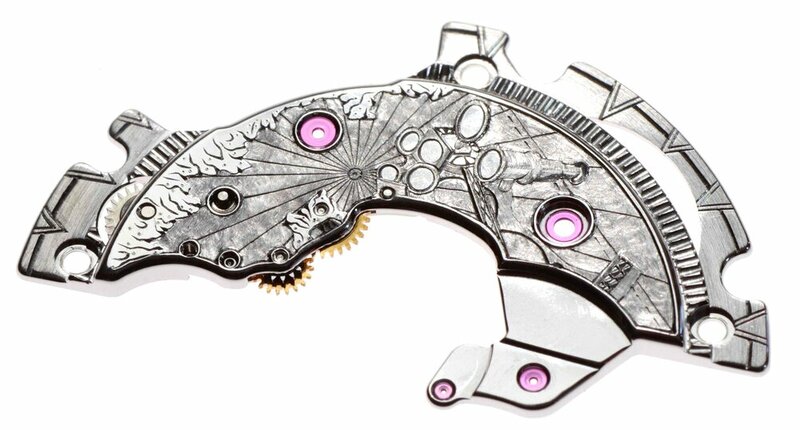 The case back removed showing the full five correctors, movement and movement ring. Rotor removed showing the fully engraved bridges. Base movement in various stages of dismantling. 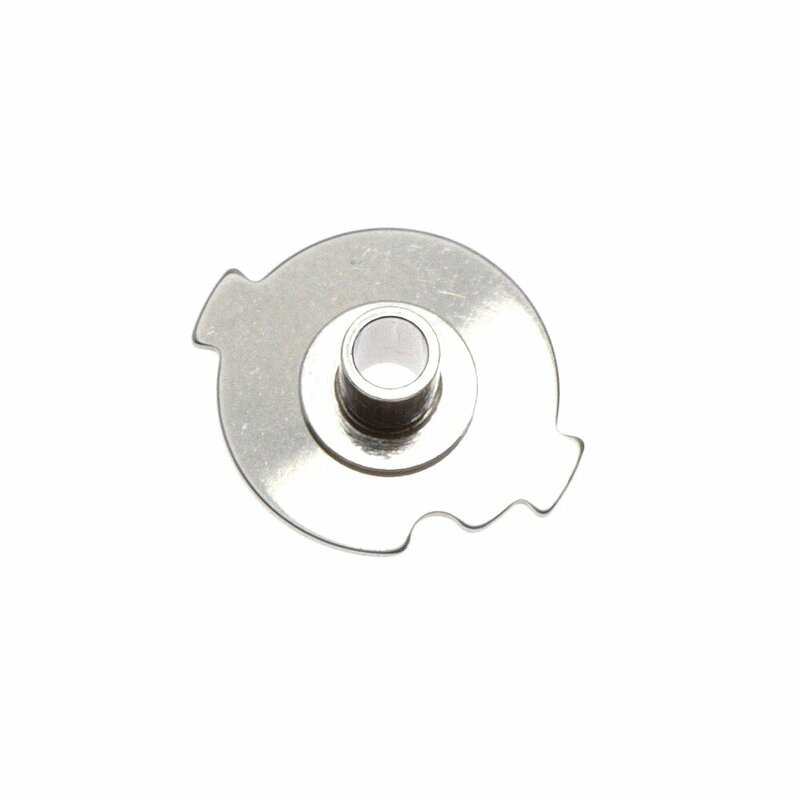 The Nickel Phosphore treatment on the sliding pinion is a new technique which increases its hardness and durability. 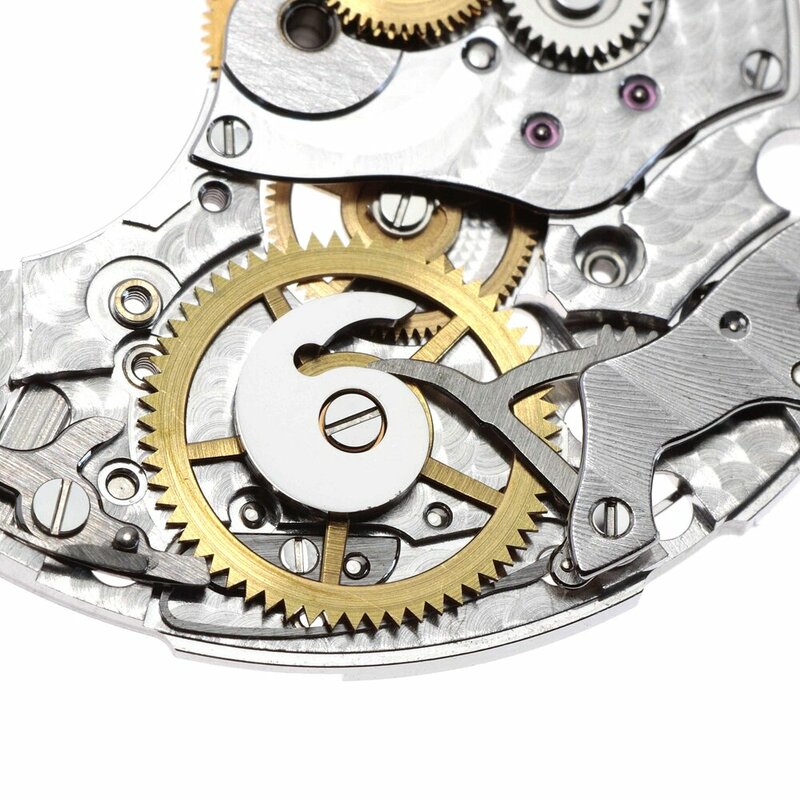 The setting mechanism traditionally receives more wear than most other parts of the calibre due to the manipulation it experiences directly from the users adjustment of the watch. 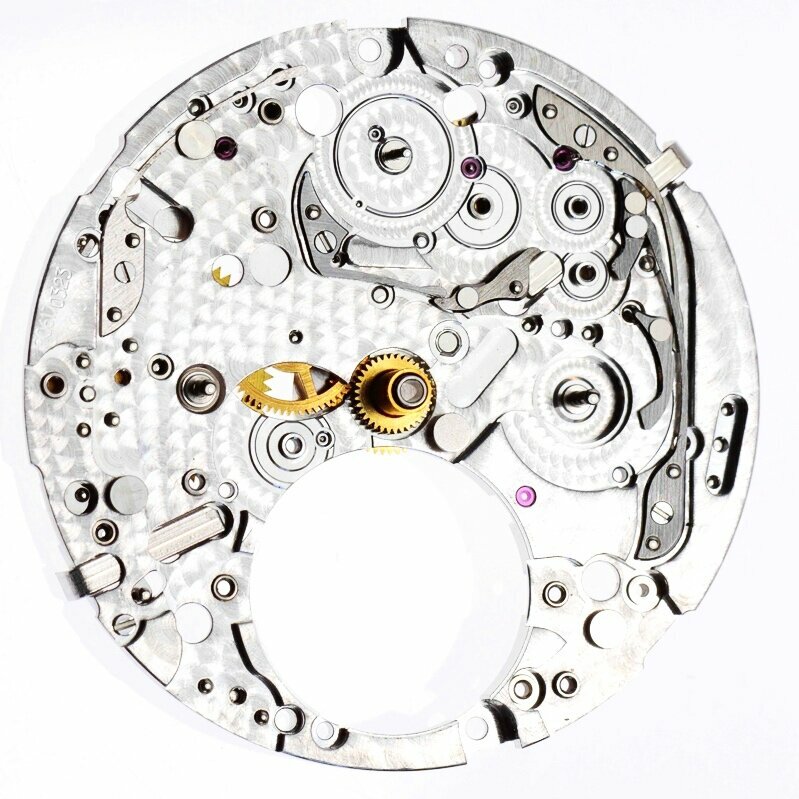 Partial explosion of the 3863 movement, excluding module. The perpetual calendar and equation module, shown once the dial is removed. A selection of the principle wheels and cams from the module. A congruently thought through and executed complicated timepiece, containing the applications of a QP with the equation of time and the aesthetic elements reinforcing those functions in an artisanal engraved execution, stylistcally following the theme of the watch. A partial exploded view of the module. 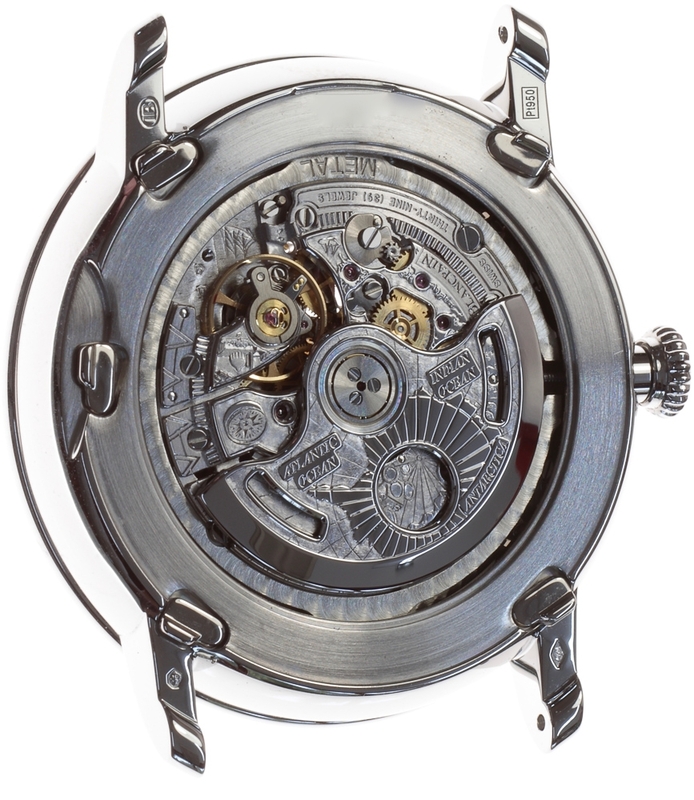 To learn more about this Villeret model please click on the Lettres du Brassus and view edition 9 where you can find an in-depth analysis on the watch and the subject of the equation of time.